ICICI Bank closed 4.88 per cent higher and contributed to over a fifth of the NSE index's gains. State-run banks advanced with the public sector banking index rising 3.52 per cent. The domestic stock market indices closed Monday's session on a strong note. 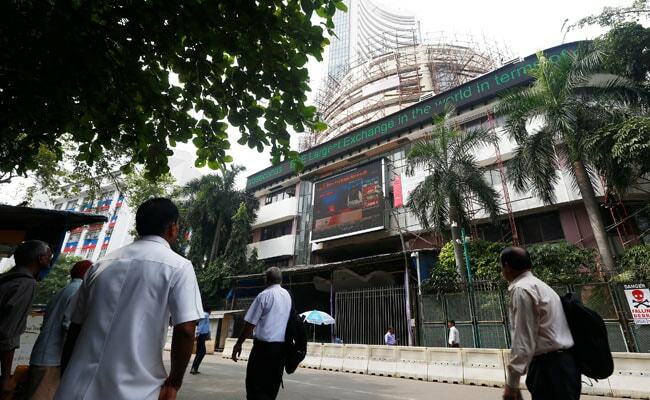 The S&P BSE Sensex rallied 157.55 points, or 0.42 per cent, to close at 37,494.40. That marked a fifth consecutive record closing high for the 30-scrip BSE benchmark index. The NSE's Nifty50 index surged 34.40 points or 0.31 per cent and settled at 11,319.55. Stock markets ended in green today led by strong gains in heavyweights Reliance Industries Ltd and ICICI Bank Ltd, while investor focus turned to Reserve Bank of India (RBI) policy meeting later this week. ICICI Bank closed 4.88 per cent higher and contributed to over a fifth of the NSE index's gains. Major gainers in the Sensex pack were Bharti Airtel, ICICI Bank, SBI, Axis Bank, Mahindra & Mahindra and Vedanta (rising between 2.25 per cent to 5.64 per cent), rising between 2.27 per cent to 4.71 per cent. Top laggards on the BSE index were Kotak Bank, HDFC, Adani Ports, Larsen & Tourbo, HDFC Bank and Infosys, ending with losses between 0.51 per cent and 1.65 per cent. Bharti Airtel, ICICI Bank, SBI, Axis Bank and Ultracemco (rising between 2.80 per cent to 5.68 per cent) led the pack of Nifty gainers, while main losers on the index were Infosys, HCL Tech, Hindalco, HDFC Bank, HDFC and Bajaj Finance, ending with losses between 1.46 per cent and 1.70 per cent. Reliance Industries ended 1.96 per cent higher. Axis Bank closed 2.85 per cent higher ahead of June-quarter results later in the day while Bharti Airtel rose 5.68 per cent. "Markets settled at positive note today driven by gains led by corporate focused banks. Post markets on Friday, Bank of Baroda reported better than expected results and ICICI Bank results also indicated gradual improvement", said Viral Berawala, CIO, Essel Mutual Fund. State-run banks advanced on Monday with the public sector banking index rising 3.52 per cent after last week's 10.4 per cent gain. State Bank of India closed at 3.4 per cent on NSE index and settled at 3.74 per cent on BSE index after the lender raised interest rates on retail domestic term deposits. According to Tushar Goyal, business development, and communication, Meri Punji IMF, "PSU banks were going down earlier because of NPA provision. The extreme bad results are now over and results are getting better. Also, RBI has increased the repo rate in their last meeting and expected to do the same in meeting on August 1, which will raise their earnings on loans given to users. This will result in better earning for PSU banks and in turn. The same is reflected by gain in their shares." Bank of Baroda Ltd surged 9.1 per cent to a 17-week top after it reported a two-fold jump in first-quarter profit on Friday. HDFC Bank was the top loser on the NSE index with a drop of 1.70 per cent ahead of results.